Are you a creative person who needs help with goal setting? Does the SMART Goal setting process, not work for your creative mind? Oh, goals. They seem pretty straightforward – set the goal, do the steps it takes to accomplish it, and you’re done! But unless your goal is to change the litter box or clean out the pantry, it’s a bit more complicated than that. However – it doesn’t have to be that complicated – once there’s a system in place, your goal accomplishing is going to go a lot smoother. If you’re a goal-setting type of person (hey, you are on It’s All You Boo’s website! ), then you’ve heard of some traditional approaches: you plan out your goal, break it down into ‘process goals’, and then just start with the first step! This traditional approach, though it’s effective and simple, is a bit lacking on the follow-through and doesn’t conform to your average creative person, who tends to learn and manifest through visuals. Another goal setting technique that’s pretty common is the S.M.A.R.T. goal approach, which is a criterion for setting goals, and an acronym for Smart, Measurable, Actionable, Relevant, and Time-Bound. I’m an avid advocate for SMART goals, but it doesn’t encompass much past setting the actual goals. 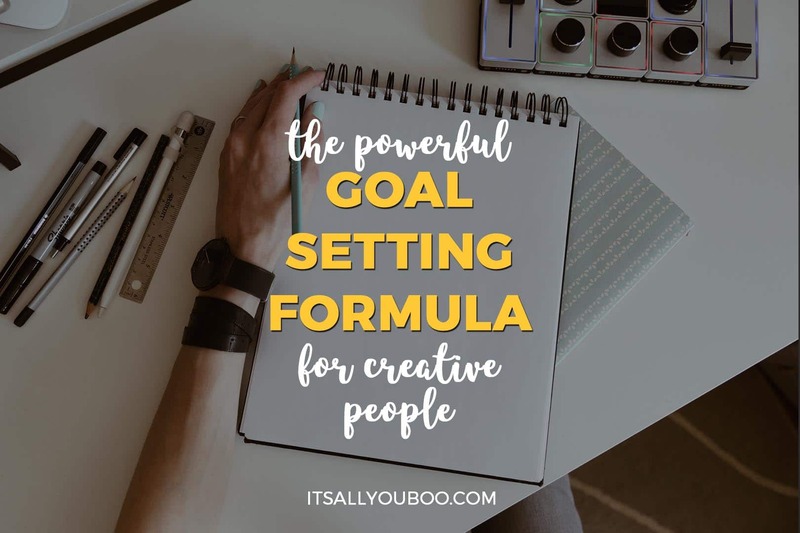 ALSO – this particular article is aimed directly at creative people, so the upcoming formula is going to cover everything from setting the right goal, all the way through to visualization, which is exactly where creative people excel. Before writing out your goal, be sure of the difference between a goal and a task. A goal is going to involve multiple steps, regardless of the time frame. 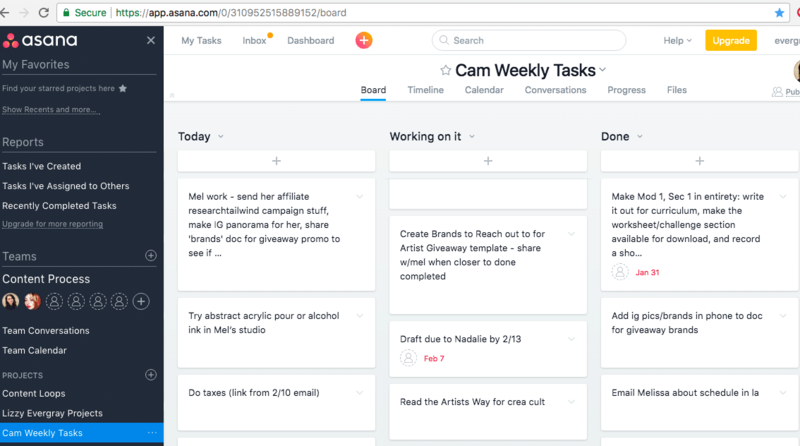 A task is obviously a lot simpler; use project management tools like Asana (my favorite! ), Trello, or Evernote to manage your tasks. What I like to do when working on a goal is to make a column in Asana for the goal, and then add the little tasks to it underneath. What’s your goal? And what tasks help you acheive it? Write them out in a project management tool, or in a journal or document. This may not seem that important, or maybe it even seems obvious – the point of this step is to make sure that there’s not a better, more efficient goal that you could be setting. For example – I’ve been setting goals for years, and when I first started out, my goal-setting techniques were on the amateur side (obviously). I now write out yearly goals and keep track of them quarterly, but here’s an example of one of the first serious goals that I planned on accomplishing: I wrote this down on my personal Tumblr blog, in hopes of manifesting my way into accomplishing this goal through whatever means necessary. The goal was this: be able to do a full pigeon pose by the end of the year. Sounds nice, right? One of my major goals that year was to accomplish a tricky yoga pose. But it just seems silly now. Here’s why: the reason that I wanted to accomplish that goal was that I wanted to exercise more in order to be more healthy. Lots of different ways to do this besides performing that coveted pigeon pose (which does look sooo pretty on Instagram). A better goal for me to set that year was to cook healthy meals 3x a week, do a yoga practice 4x a week, or even just stretch for 20 minutes a few times a week. When going by the S.M.A.R.T. goal setting criteria, my goal of getting to that full pigeon pose was not measurable or all that relevant. What is the reason behind your goal? Why do you want to achieve it? Like my example of the ‘do a full pigeon by the end of the year’ goal, there was actually a much better goal to focus on there. Had I have really accessed the why behind that goal, I would’ve been much more productive that year. (By the way – I never did end up doing a full pigeon – the goal just fell to the wayside amongst more important ones because my ‘why’ wasn’t strong enough). Is there a better, more productive goal you can focus on? Maybe your very first draft of this goal is still correct, but now that you’ve validated it, you can go about accomplishing it with much more motivation. Chances are though, you’ve revised your original goal from Step 1 at least a little bit, so write it down here. Is your goal the same? If not, what is your revised goal? 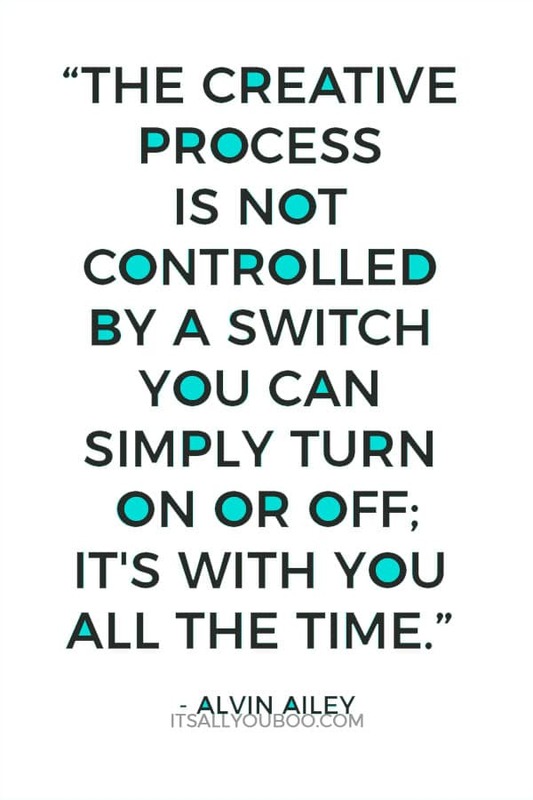 Process goals are just the smaller, more broken down version of your main goal. So unless you wrote out a task instead of a goal, there’s going to be some smaller steps involved here. Write them out here, and put them in chronological order. Research topic/idea – what else is out there? How can I stand out? So of course, there are even smaller steps involved (if only marketing was one step! ), but the point is to write them out and organize them so that you can literally go down the list and feel accomplished as you check each task off and get one step closer to your goal. Breaking down a goal into process steps actually makes you more likely to reach your goal. What are the steps or processes of your main goal? What are your mini goals? This is an article about creative people after all – and most of us tend to be very visual. So here’s where that comes in. 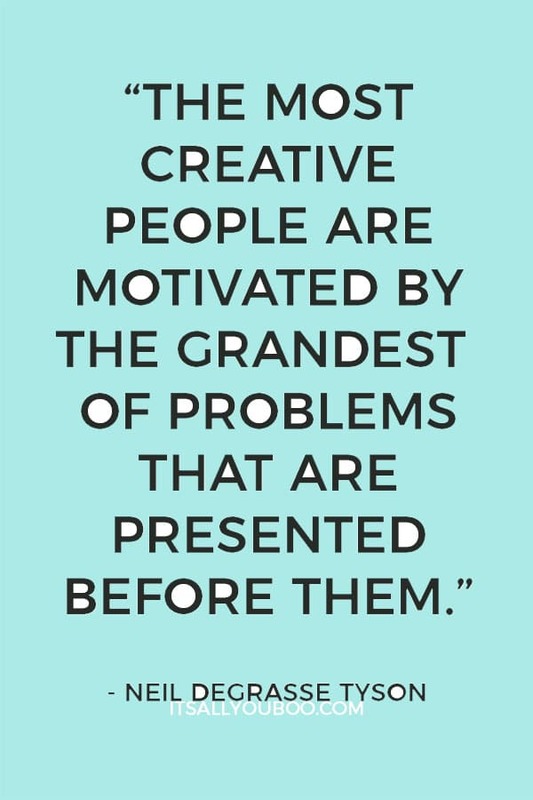 Creative people have pretty active imaginations, and imagination comes into play before nearly anything can be manifested. Even something as simple as doing the dishes! First, you picture what life and your house would be like if the dishes were done, and then you imagine up a way to get them done. Your imagination can take many forms – in fact, I developed a theory that our imaginations produce 8 by-products, with a few of those by-products being creative projects, consumption mode, depression, and anxiety – there’s an explanation on that here. In my opinion, the best use of imagination is creation mode. Use that imagination to manifest big, beautiful, creative goals! You’ve heard of vision boards, right? Let’s do that for your quarterly or yearly goals too! Your vision board doesn’t have to be super long-term, bucket list type of goals – make some sort of visual for Every. Single. Goal. Because you’re creative, and that’s what we like to do, and that’s what we excel at. This visual doesn’t have to be a beautiful, glossy rendering – print out a little picture or sketch something up, even if your goal is more of an abstract concept. How will you visualize your goal? Will you create a vision board, or something else? 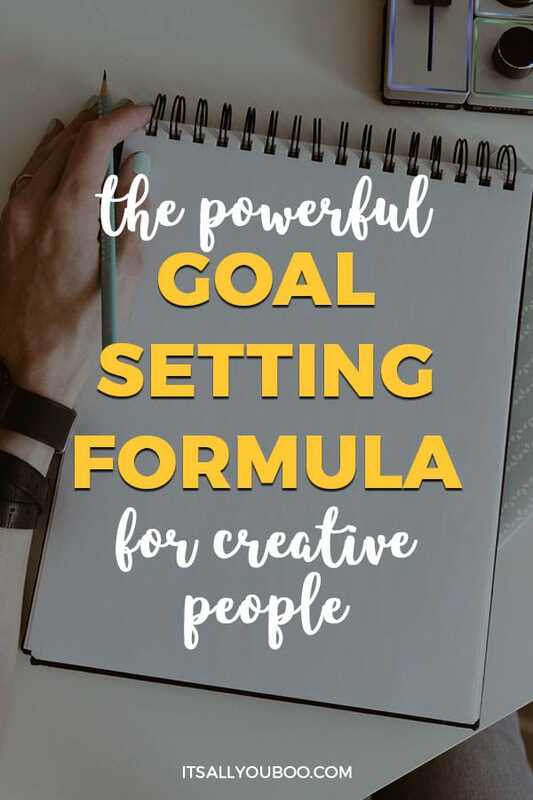 Dang, we’re getting into a lot of steps now for this whole goal-setting formula for creative people! But you want to accomplish this goal, right? Take it from someone who has chronically been setting goals for many years – goal-setting is not casual for me, it’s serious business, brah. How do you meditate on your goals? So if you’re using something like Asana, (or whatever process you have going on to be productive), go ahead and schedule a time to finish the upcoming tasks. The dates will probably shift a little, but that’s fine – give yourself a deadline to hold yourself more accountable. If the reason is just that it’s difficult and scary, then I’ll have a little chat with myself about why this goal needs to be worked on now. But if the assessment as to why I’m putting that goal off is just that it’s not that important, then I’ll just let it go and move on – we only have so much time on this planet after all! Figuring out how close you got to finish that goal can help you define how important that goal really is to you, and you can construct your future goals more effectively. Ready to get started on setting and achieving your wild, creative goals? 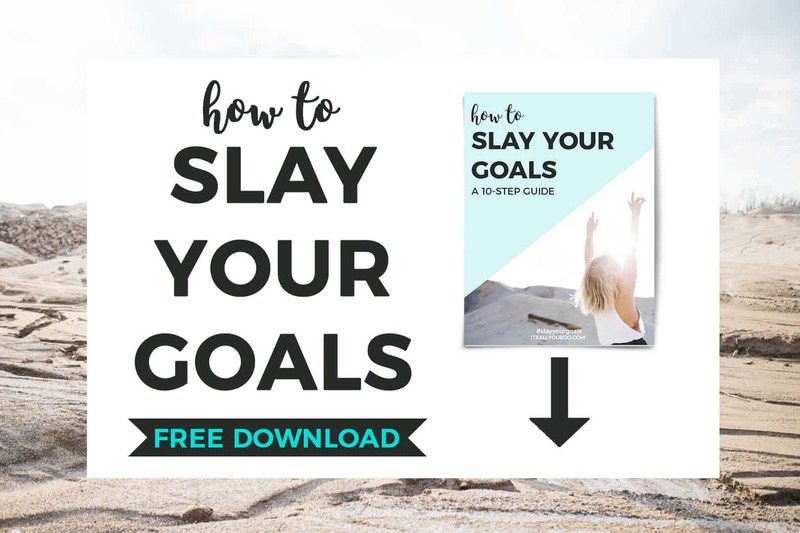 Get your FREE Printable Slay Your Goals Guide. So what did you think of this formula? Have you ever tried out a process like this, and what’s the most difficult part of goal-setting for you personally? In the meantime, you should totally get the Slay Your Goals Guide and get started on your next important goal, you magical creator! What’s your creative goal-setting process? 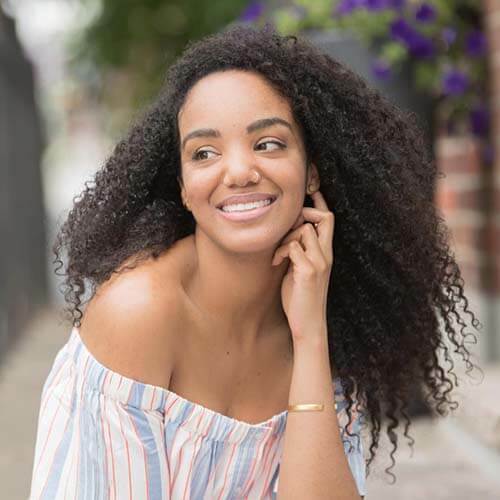 Cameron Gray is the founder of EvergrayDigitalMedia.com, whose focus is on helping ambitious artists and creative entrepreneurs take over the world through business & personal development via e-courses, webinar workshops, and PDF resources. This formula is really good and informative. I have tried out a process somewhat similar to this. 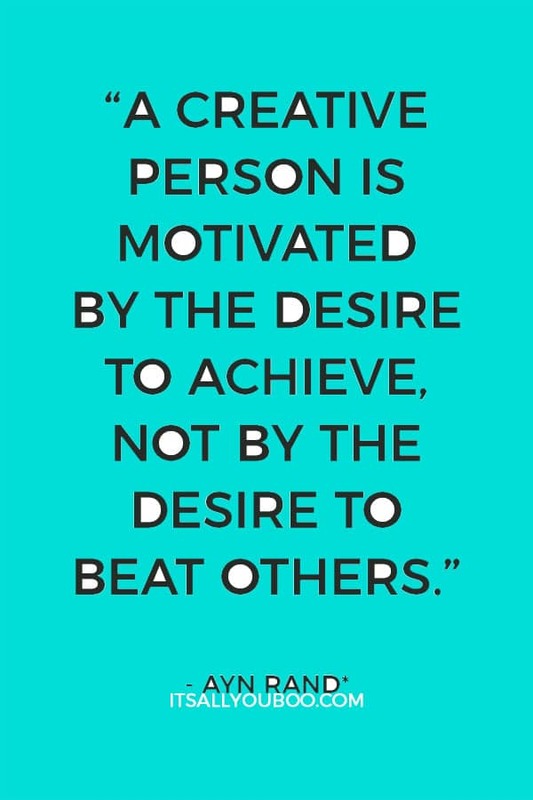 For me, the difficult part is staying motivated to finish the goal. I have all these well-thought of, well-planned goals, then suddenly life gets in the way. I lose track of my goals and felt unmotivated to finish them. Something my husband always try to remind me. Oh my are you right about that. Motivation is a hard one, to keep going! But I find that adding in breaks and allowing yourself to rest can make it easier to keep going. I really need to focus on #2 and #5. I am getting back into the swing of things. Cutting down goals into more manageable bite sized goals is such a good piece of advice! I’m a big fan of laying out different steps for achieving things, this is a good step by step guide. YES, it really is. It makes everything so much more manageable. And a bonus, by doing this you’re also creating a plan to achieve them. Sometimes I easily get distracted, and for that I want to learn how to stay focused. Thanks for your tips. Am also eyeing for your notebooks recommended on your blog. for me writing down the bigger picture and devide it to smaller steps/goals is really the best way to move forward and make every goal seem more possible to reach! Very inspiring post, just what I needed today! Yep – me too, Chelf! I am the world’s worst at setting goals, mainly because I treat them like a New Year’s resolution and they never get done! However, I found it interesting to read about goals versus tasks — I think I’ve had them confused for all these years! I love the idea of it; now if I could just stop procrastinating long enough to do it. Great post! Pinned! Having goals for things we want to do and working towards them is an important part of being human. The path towards our goals may not always run smoothly or be easy, but having goals, whether big or small, is part of what makes life good 🙂 Paying attention to how we set our goals makes us more like to achieve them. Plus achieving those goals boosts your self-esteem and chances of success! I love setting goals, often I will follow threw and just as often I won’t. I loved how you plan the whole process of achieving the goal out. I will definitely be trying this with my next goal! Thanks. I love the point on splitting your goals into smaller goals. Putting this system into place has totally changed the way I work. Having a nice goal-setting formula can really change the game! Hmmm… that’s a good point! With goal setting it can be hard to know which goals are too big, and which just aren’t big enough. Do you play it safe? Or reach for the stars? I think it’s a balance between the two, doable but not impossible ya know? Oh Nadalie this post was so helpful, thank you! I was putting away my goals in time, saying that I will do something “after February/Uni/ dissertation due..etc” and now when I finally finished Uni, have time to write down some goals and works towards them! And that program Asana seems to be perfect tool to do so! Yay, so glad that it’s helpful to you. Carmen did a fantastic job giving us a new way to approach our goals. Totally agree, Asana is totally my best friend. Asana club! Also my best friend! So many good tips! I think a lot of people set goals, but don’t have a plan to achieve them. This is so helpful! So glad you’re enjoying Carmen’s helpful tips! So true, and you know what they say, a goal without a plan is just a wish. Let’s get goal setting people! 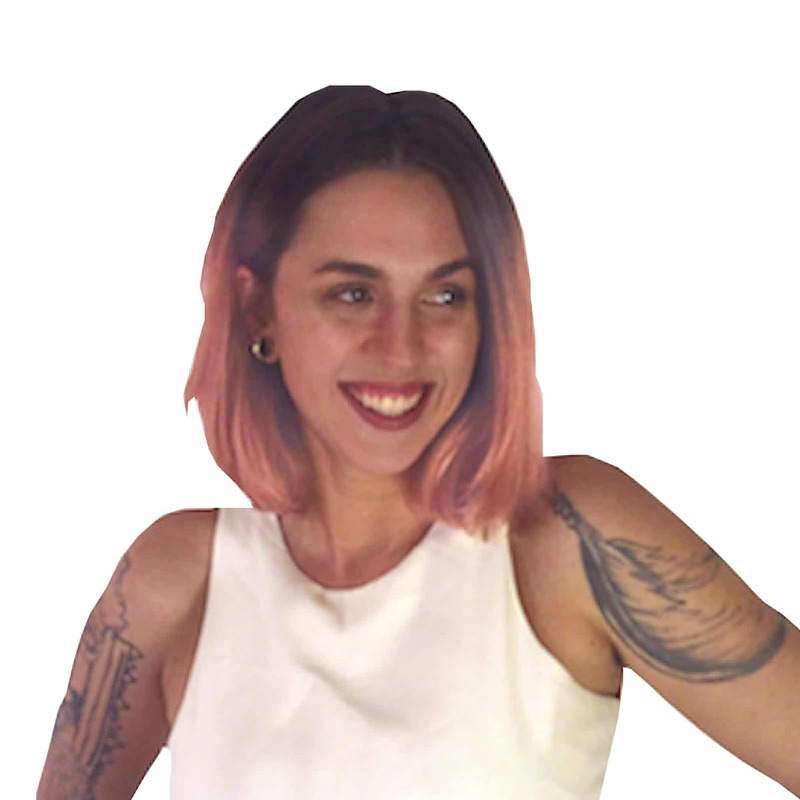 SMART goal setting is an important framework admittedly, but we can do better and look at some other aspects of goal setting like the ones Carmen has shared with us. Setting goals is important, but even more important is having a PLAN to achieve them! It’s so easy to make a goal, but it’s another thing to really follow through. Very practical tips. I will def be revisiting these. YES YES, preach! Plans are everything, well unless you don’t follow them. So I’d follow that up with, it’s most important to take action on the goals we’ve set and planned. I ama such a visual person but have never thought to make a visual for my goals. Such an. Smart thing to do. And would be extremely motivating for me. Yeah, I’m not sure why it took me so long to figure out either! I swear you write these articles just for me. My mind is always going and setting more long-term complex goals has always been a challenge for me . To be honest, sometimes I know what I have in mind but never know where to start . This guide will definitely help me get focused and a bit more organised and definitely slay my long-term goals . Hahah – yes – we seem pretty similar! This is a great method to getting things done! Meditating the intention and setting a deadline are so important. If I dont have a deadline it is very hard for me to get work finished. Awesome article Nadalie! So glad you’ve enjoyed this new way of goal setting. Sometimes we gotta change it up. AND yes, deadlines are key. Well, if we’re disciplined enough to keep them. Great tips, especially the one about measuring your progress! I love setting (and writing down) goals for myself, but typically I bite off more than I can chew or get sidetracked, so the completion date that I set for myself is never a hard deadline. Usually that date ends up either disappearing into the ether, or if I do remember it, once I arrive at the date, it just gets pushed off into the indefinite future. I think measuring my progress would be a fruitful way of examining exactly what went wrong and helping me to set a new, more realistic deadline. I so agree with you, Cameron shared so many great goal setting tips with us. You’re so right, measuring your progress is so crucial to actually reach our goals. If we’re not firm with this end date, we’ll naturally procrastinate and think of every reason why we can’t get it done on time. I tend to start the next thing before finishing what’s at hand if I don’t stop myself, so stopping to measure my project & progress has been so, so helpful.